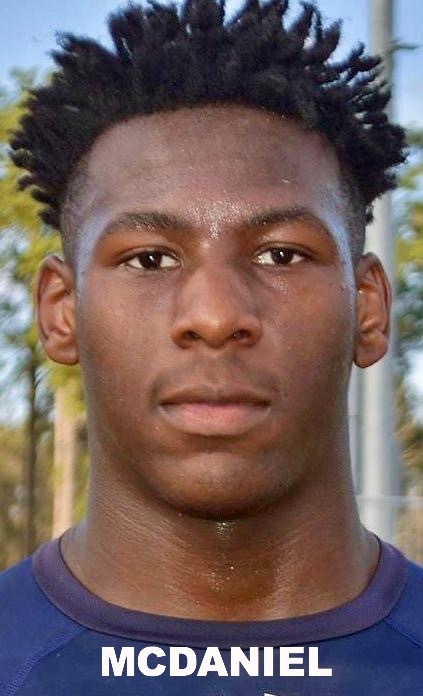 Tift County High Blue Devil KD McDaniel is one of 32 high school football players across the nation nominated for one of the final two roster spots for the 2019 Under Armour All-America Game , will be decided by fan vote . Blue Devils linebacker McDaniel has committed to the University of Kentucky. At the beginning of the season, he was the 32nd-ranked outside linebacker in the Class of 2019 by 247Sports Composite rating, coming off a junior year that saw him with 78 tackles, 13 for a loss. The fan vote matches the 32 players in a bracket-style contest. Voting began this past Tuesday and ends on Nov. 16 . To vote, Click Here! 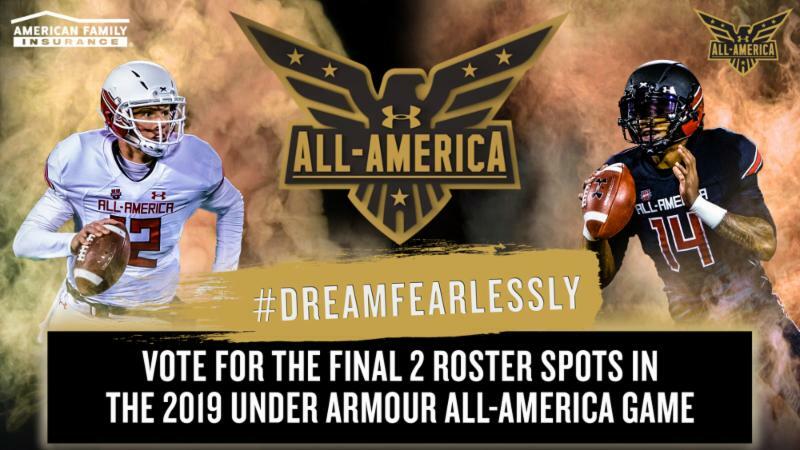 The Under Armour All-America Game is scheduled Jan. 3 in Orlando, Fla. , and will be televised live on ESPN2 at 6 p.m. Other Georgia players vying for one of the two last spots are Zion Puckett of Griffin, Logan Cash of Winder and Jaelyn Lay of Riverdale. The Blue Devils's homecoming game is at 7:30 p.m. today at Brodie Field against the Miller Grove High Wolverines of Lithonia. 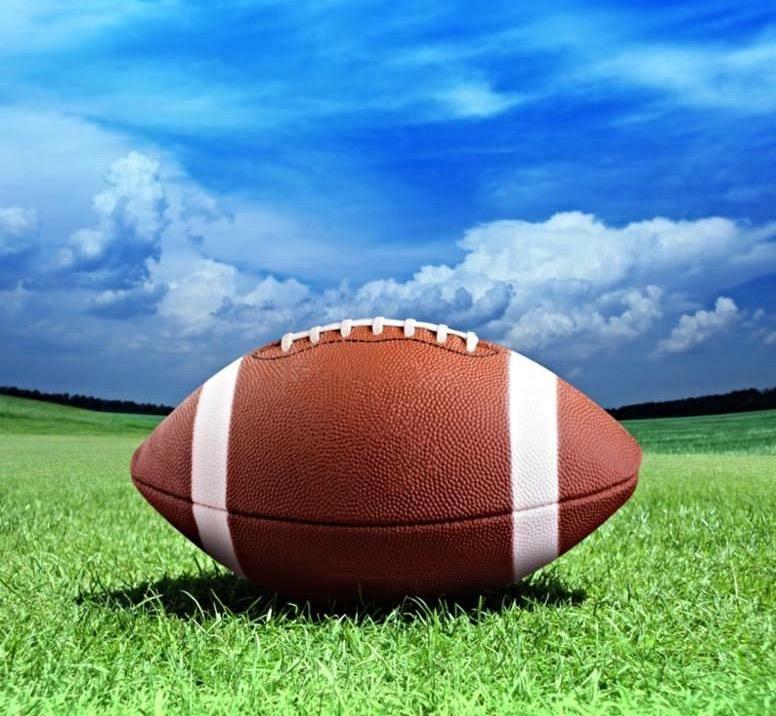 Tiftarea Academy Panthers' homecoming football game , scheduled tonight, has been cancelled . Notre Dame Academy of Duluth forfeited because they don't have enough players well enough to play today. 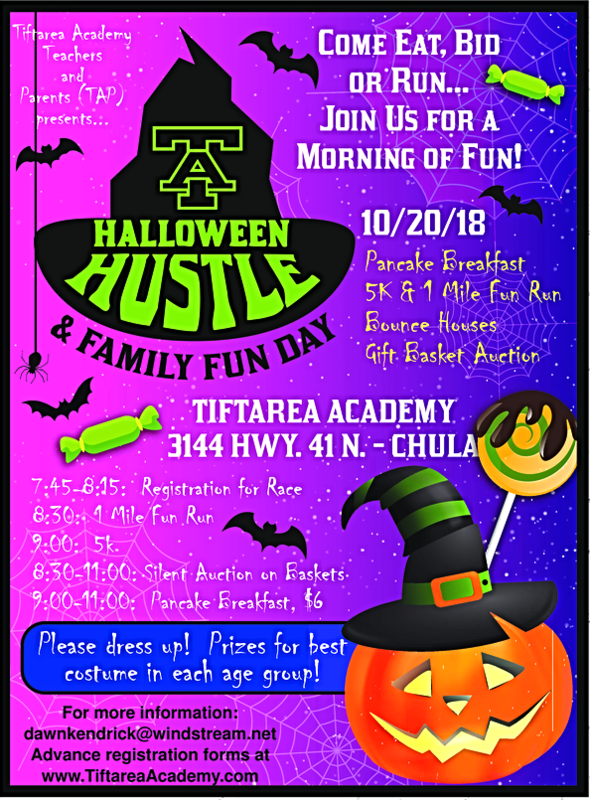 Tiftarea's other homecoming activities will continue as scheduled. Brianna Martinez, left, and Judge Melanie Cross, right, present award to Judge Herbert Benson during the Candlelight Vigil in downtown Tifton. 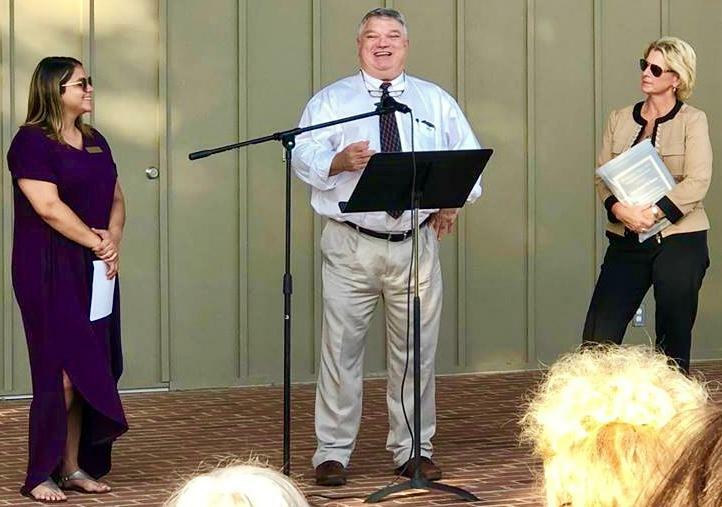 Tift County Judge Herby Benson was recognized for his work on behalf of domestic violence victims during the Candlelight Vigil held Monday by Ruth's Cottage and the Patticake House. Benson was presented the J. Harvey Davis Award by Brianna Martinez , Ruth's Cottage senior legal advocate, and Circuit Judge Melanie Cross , last year's recipient. "We are grateful for Judge Benson ," Ruth's Cottage noted in a written statement. "He has worked hard to understand the complicated world of domestic violence and strived to do all he can to keep victims safe . 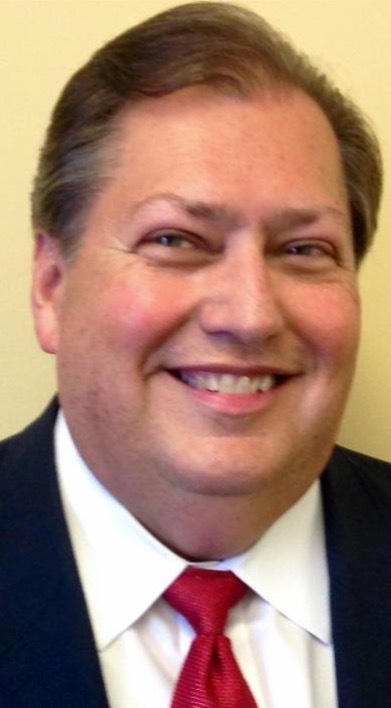 "The Tifton Judicial Circuit is very fortunate with our judges who are all knowledgeable about family violence and make informed decisions, case by case." 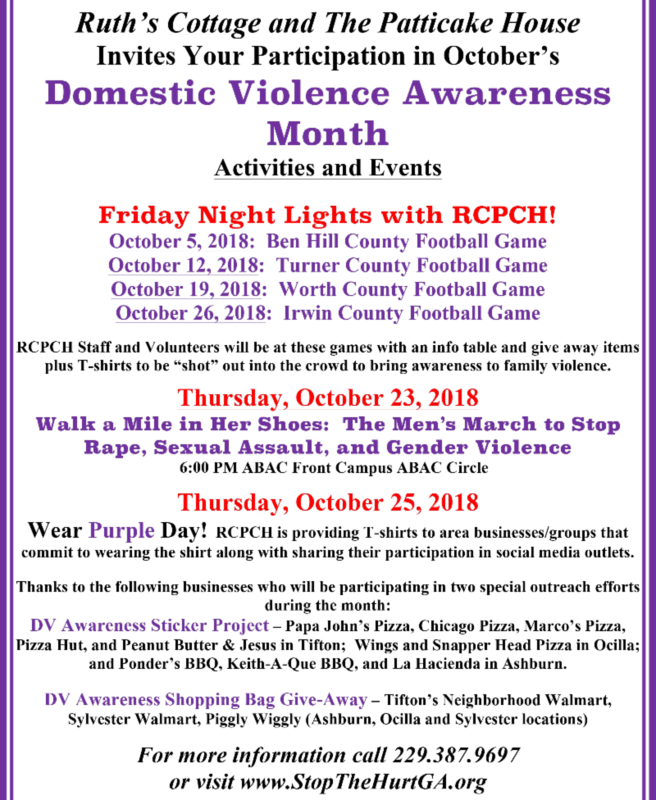 Ruth's Cottage , the Tifton judicial circuit shelter , provides safety and support to family violence victims and promotes activities toward the elimination of violence toward men, women and children. 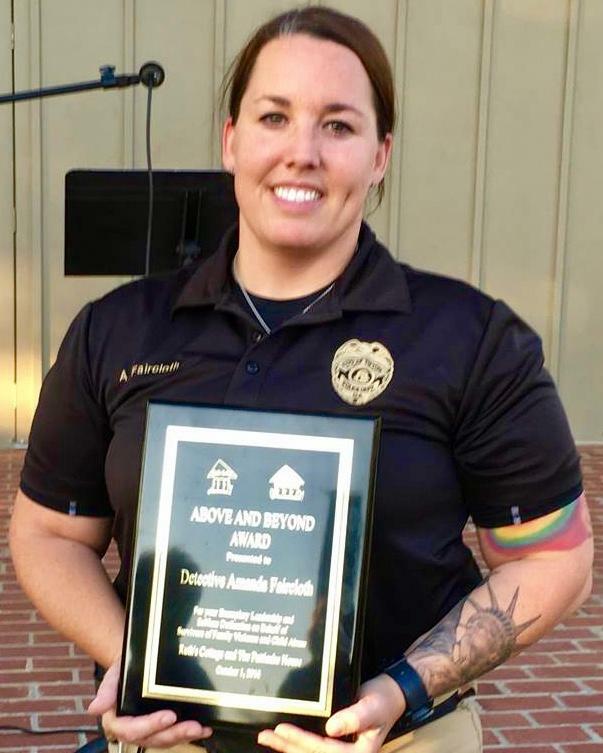 Also recognized during the Candlelight Vigil were Tifton Police Detective Amanda Faircloth (pictured at right) with the Above and Beyond Award, Susie McKay with the Third Door Award, Monique Haggins with the Service Award and a special Service Award to Nancy Bryan, executive director of Ruth's Cottage and the Patticake House. The organization reports that nearly 100 people in Georgia died from domestic violence during the past 10 months. Between October 2017 and this past August , one person was killed as a result of domestic violence in Tift County . October is National Domestic Violence Awareness Month . 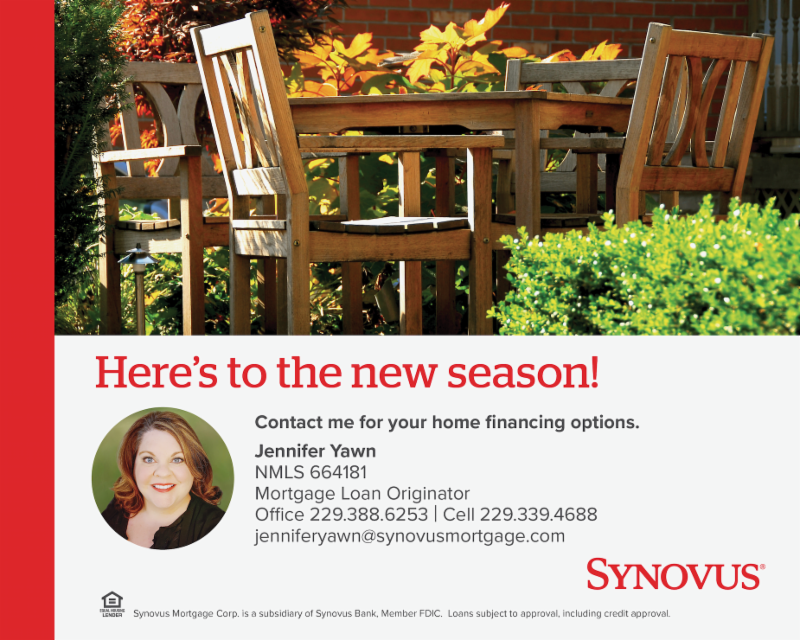 Save the date now to Browse. Buy. Enjoy! Surprising and beautiful works by 30 ARTISTS. 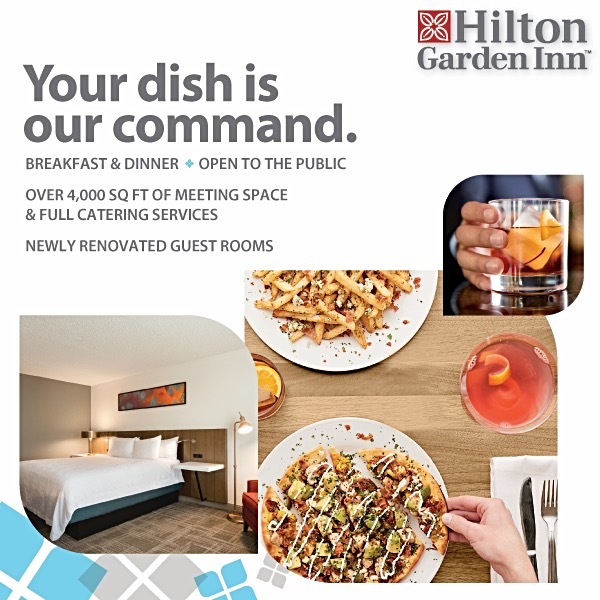 Plus indulge in A SWEET TASTE OF TIFTON! Delightful baked goodies by local groups & entrepreneurs! UGA FARM TOUR VISITS S.GA. University of Georgia President Jere W. Morehead traveled to South Georgia recently to learn more about Georgia’s top industry — agriculture — during his annual Farm Tour . The tour’s stops highlighted the diversity of the agriculture industry , ranging from the Pure Flavor greenhouse complex in Fort Valley to Premium Peanut in Douglas . The 2018 Farm Tour marked the sixth year that Morehead , joined by Ga. Agriculture Commissioner Gary Black and members of the General Assembly , visited farms and connected with the state’s agriculture industry leaders . Each year, the Farm Tour visits a different region of the state to understand the range of challenges and opportunities facing Georgia’s farmers . The annual event provides an opportunity to connect the state’s land- and sea-grant institution to Georgia’s communities, businesses and leaders. This year’s tour started in Fort Valley and traveled to Pecan Ridge Plantation in Bainbridge . 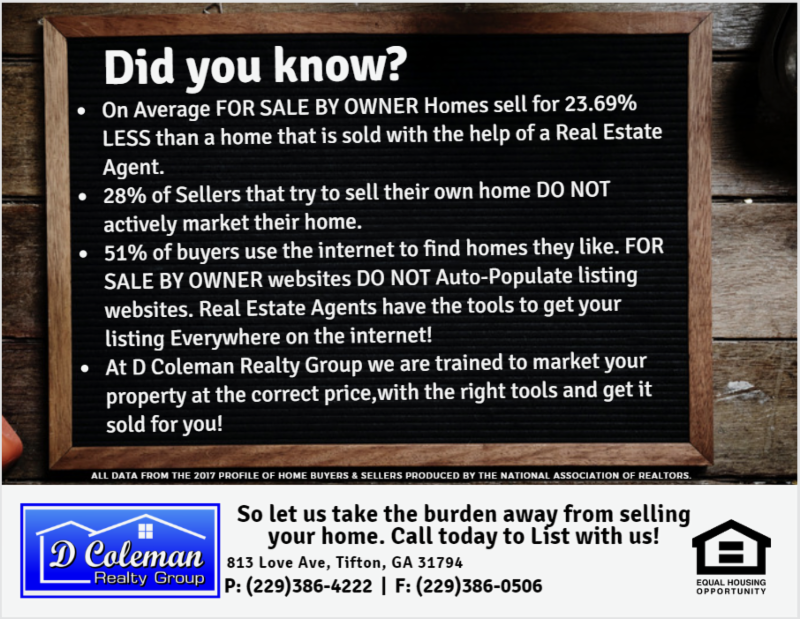 The business is operated by two UGA graduates, Rob and Eric Cohen , and spans five counties throughout South Georgia and North Florida . This stop featured a pecan orchard in Decatur County , part of the Cohen brothers’ 1,400-acre pecan operation. 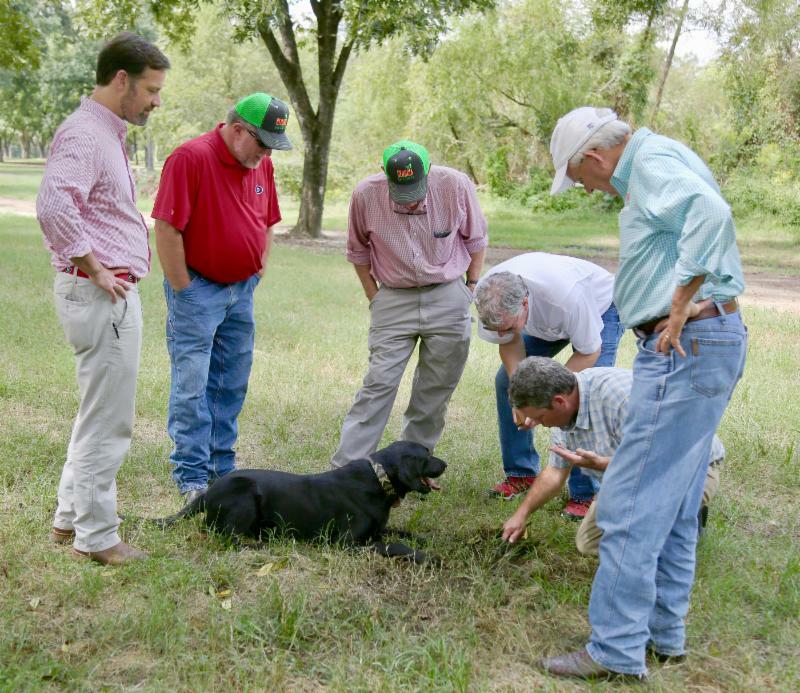 Eric Cohen also showed off his dog Tate, who is trained in locating truffles in pecan orchards , a delicacy that is highly desired by restaurants and chefs. Reflecting on his business, Cohen credited UGA Extension pecan specialist Lenny Wells and plant pathologist Tim Brenneman for the success the Cohen family has enjoyed in producing pecans . Georgia is the country’s largest producer of pecans , with a farm gate value of $355.8 million in 2016 . Irrigation research is vital to improving state crops like cotton, peanuts and vegetables . The farm tour visited UGA Stripling Irrigation Research Park in Camilla to see how water factors into the development of crops over the course of the growing season. Calvin Perry , superintendent of SIRP, highlighted irrigation scheduling work by UGA College of Agricultural and Environmental Sciences precision ag specialists Wes Porter and George Vellidis . The tour’s final stop was at Premium Peanut , the largest single shelling facility in the world . The AARP Driver Safety Program is being offered again at the Leroy Rogers Senior Center in Tifton . The course will be from 9 a.m.-4 p.m. Saturday, Oct. 20 . The class is open to all ages and could make participants eligible for up to a 20 percent discount on their automobile insurance premium . Sgt. 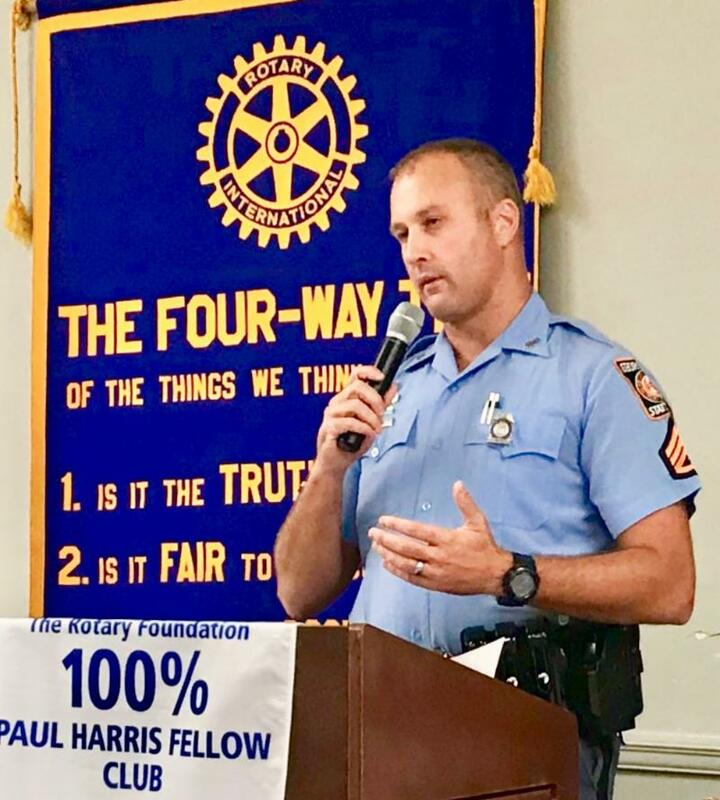 1st Class Peter Lucas , Georgia State Patrol Post 13's new commander , spoke to the Tifton Rotary Club on Wednesday and said more troopers are being sought. Ideally, Lucas said, " 14 to 15 troopers would be good, and currently we have nine ." In 1967 , Post 13 had 17 troopers. He started in his position Sept. 1 , and has been with the Post since 2009 . Lucas said he is the seventh Tifton post commander since 2009 , and, with his wife originally from Douglas , he is committed to stay in Tifton . Since the "hands-free" law concerning cell phones and driving went into effect July 1 , Lucas said local troopers have stopped 270 vehicles with drivers using mobile devices. Eighty-three tickets were issued, and 188 warnings.
" 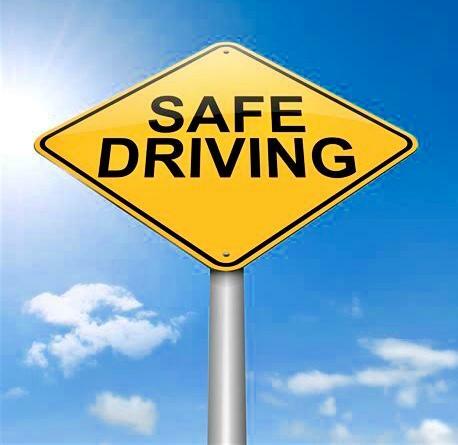 Distracted drivers kill more people than DUIs ," he said. Post 13 encompasses Berrien, Cook and Tift counties. There are 51 posts in the state. Lucas said 18,216 citations were issued in 2017 . So far in 2018, 6,500 citations have been issued with 10,000 vehicles stopped. The number of accidents the Post has worked is 850 , up by 63 over all of last year, with 19 fatalities so far in 2018 , another increase. The number of DUIs issued is 216 , and 95 drug-related citations have been issued, he said. In 2017 , a total of 297 impaired drivers were stopped. 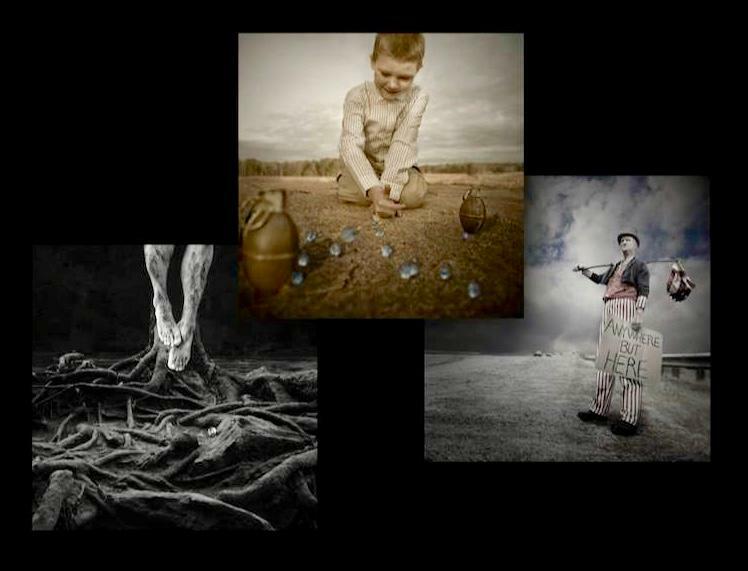 photography exhibit hosted at Tifton's Plough Gallery . Encompassing three distinct bodies of work, "Triskelion" spirals into one exhibition . The series includes images from “Axis,” his thesis images from Georgia State University ; King's current project, “En Passant;” and “Anywhere But Here,” a politically charged body of work. King and his wife Athea will be attending the exhibit's o pening reception , 5-7 p.m. Saturday, Oct. 6, at the gallery at 216 W Eighth St.
King received his master's of fine arts in photography in 2014 from The Ernest G. Welch School of Art and Design at Georgia State. For information about the exhibit, visit ploughgallery.com or call 229-396-4200 . The Baldwin Players will stage “Stop Thief ” at 7 p.m . today and Saturday in Howard Auditorium at Abraham Baldwin Agricultural College . A fast-paced comedy , the play was the first performed by the newly created Baldwin Players on Dec. 15, 1933 . Tickets are $10 for general admission and free to ABAC students, staff and faculty with an ABAC ID. 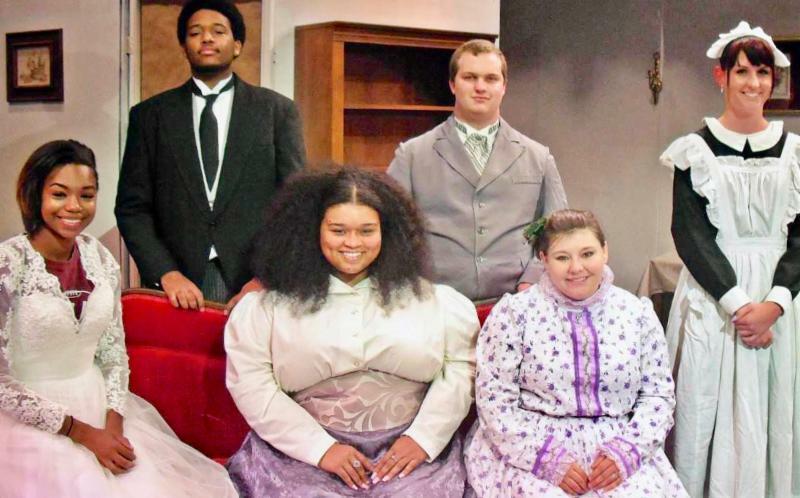 Performers in the play include, front row, from left, Tia Williams as Madge Carr, Angel Rewis as Mrs. Carr, and Hannah Moseley as Joan Carr; back row, from left, Jeffrey Murray as James Cluney, Tyler Evans as Dr. Willoughby, and Caroline Kirkland as Nell. Dr. Brian Ray directs the Baldwin Players . It has been 54 years since faculty and students at Abraham Baldwin Agricultural College sponsored an event called "Dealer Days" on the ABAC campus in 1964 . No one could have guessed then that the small farm equipment show would grow into the mammoth extravaganza now known as the Sunbelt Agricultural Exposition . ABAC is now an annual exhibitor at the Expo , which moved to Spence Field near Moultrie in 1978 . 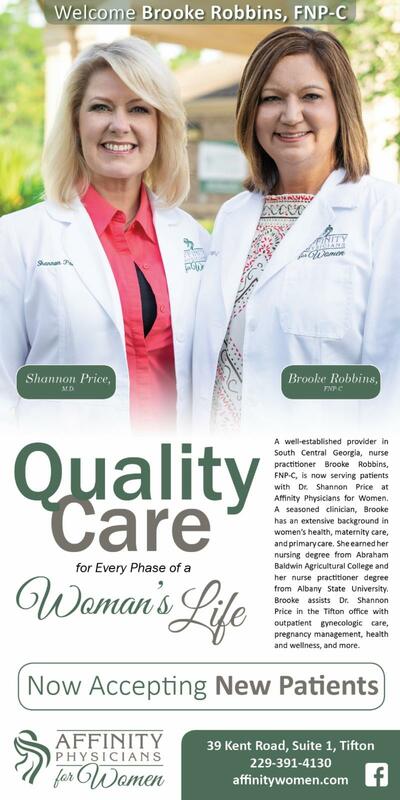 At the ABAC building at this year’s Expo on Oct. 16-18 , visitors will get to look at different segments of ABAC life . Students, faculty and staff will greet visitors at the exhibit building , and interactive games will allow guests to learn more about the college. Landmarks at the building include a Golden Stallion mascot statue and the famous ABAC pulling tractors . During all three days of the Expo , the School of Agriculture and Natural Resources will host demonstrations relating to the new agriculture degree track – Agriculture Technology and Systems Management. A runoff simulator , unmanned aerial vehicles (UAVs), and a 3-D printer will provide glimpses of what students learn in this degree track. 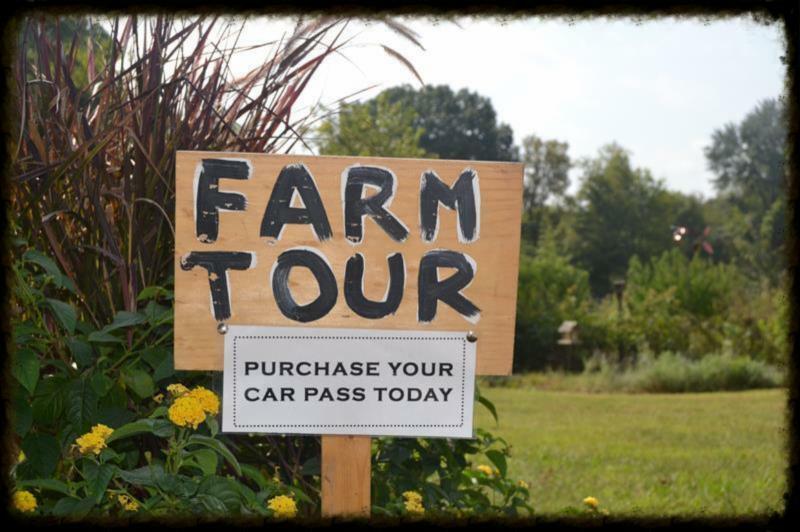 The Wiregrass Farmers Market's Car to Farm Tour is set for 2-4 p.m. Sunday, Oct. 14 . After meeting at the Ga. Museum of Agriculture in Tifton , participants will drive to three farms for tours. The cost is $10 per person or $25 per family of three or more people. The spots are limited . 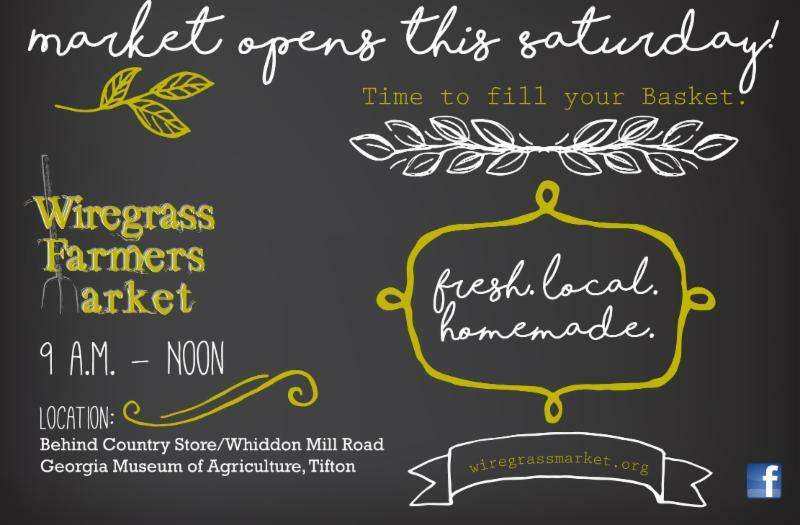 Participants will take a drive and meet local farmers providing market customers with freshly grown produce . The tour is a way to see what goes into farming . The sites are Granddaddy's Farm (pastured poultry and beef), a beekeeper/honey producer and a grower of two alternative crops ( nopales and agave ). 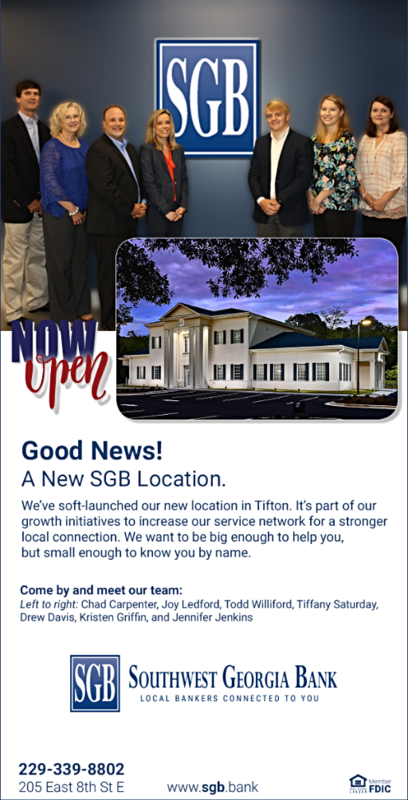 All sites are north of Tifton in a 10- to 15-mile radius of one other. The Southern Regional Technical College Foundation this week received a donation from AT&T, a long-time. supporter of technical education . AT&T Georgia’s Courtney Brinson , regional director for external affairs, pictured at center, presents SRTC President Dr. Craig Wentworth , left, with a donation to the college’s foundation. At right is Darlene Taylor . The foundation will use the donation to support scholarships and help support students who need assistance with tuition, books and fees . 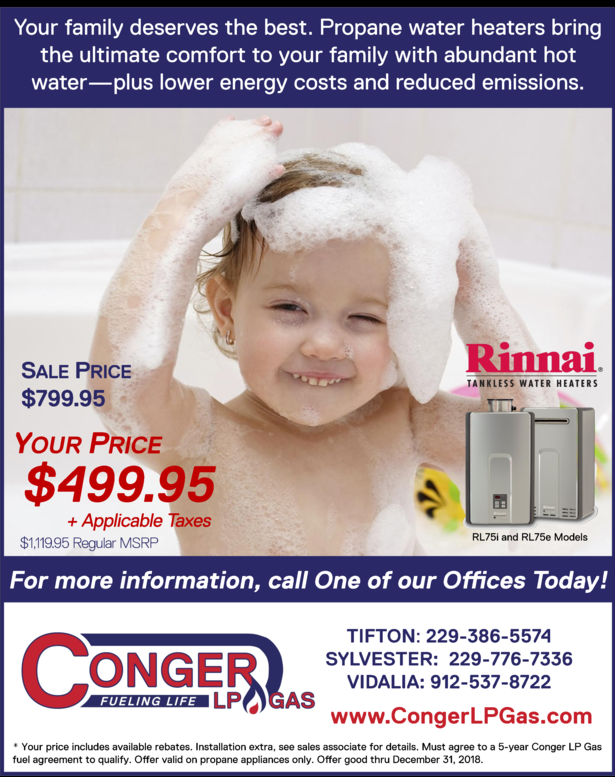 The City of Tifton , participating in the "HEAT" program for the eighth year, is encouraging residents to help needy seniors and low-income neighbors with their heating bills this fall and winter. HEAT , the "Heating Energy Assistance Team Inc.," helps address the energy needs of low-income Georgians by joining forces with concerned citizens, businesses, as well as state and local governments. During the past 35 years, HEAT Inc . has received more than $24 million in donations to assist nearly 100,000 Georgia families and individuals in need. This past winter, HEAT donors made it possible for more than $741,000 to be available for low-income Georgians needing help with heating bills . Among the many concerned citizens who donate to HEAT, Tifton residents continue to show compassion for their neighbors in need. Collectively, citizen donations averaged nearly $3,000 annually since it has partnered with HEAT to help less fortunate families and individuals during the colder months. Last winter in Tift and surrounding counties , 60 households were served with $20,379 in energy assistance funds. 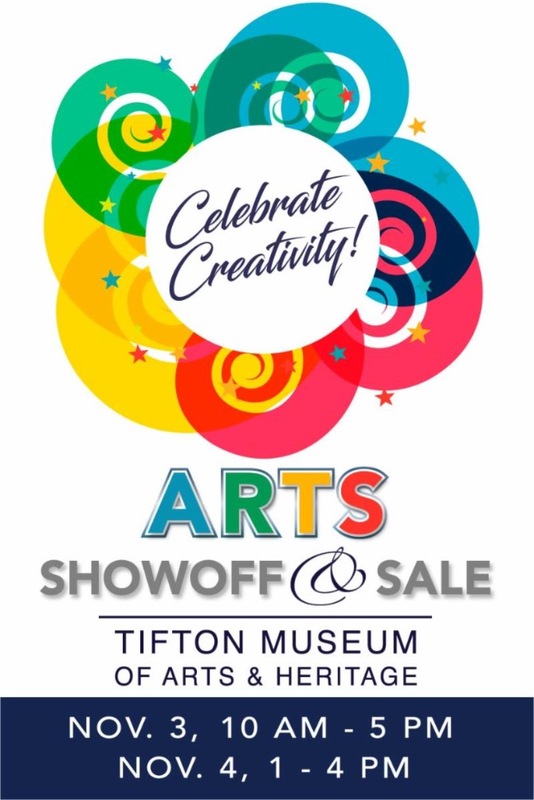 “It has truly been a pleasure having Tifton as a municipal partner through the years,” said Jeffrey Joseph , HEAT's executive director. “The city’s administration has been very reliable in promoting HEAT’s cause to engage residents. 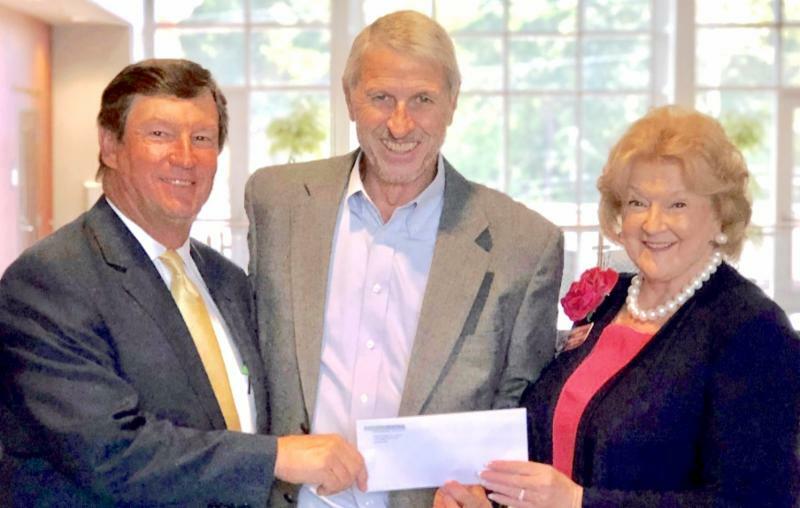 Because of that effort to gain community support, Tifton has won five HEAT awards from the Municipal Gas Authority of Georgia based on donations from its utility customers,” he said. HEAT’s fund distribution begins in November for senior citizens (age 65 and older) and the medically homebound , and opens to the general public during December . 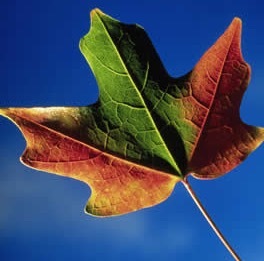 If you have a disconnection notice or need your home heating service restored, you may be eligible to apply for funds. HEAT works with the Georgia Division of Family and Children Services to distribute energy assistance through community action agencies. 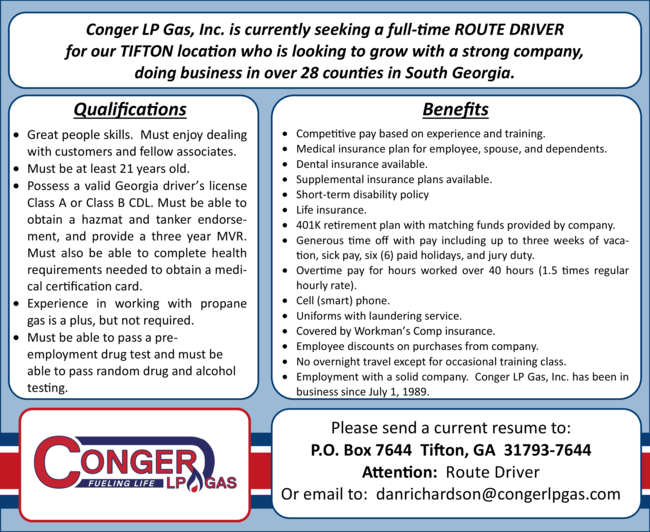 In Tifton , the Coastal Plain Area Economic Opportunity Authority handles distribution. 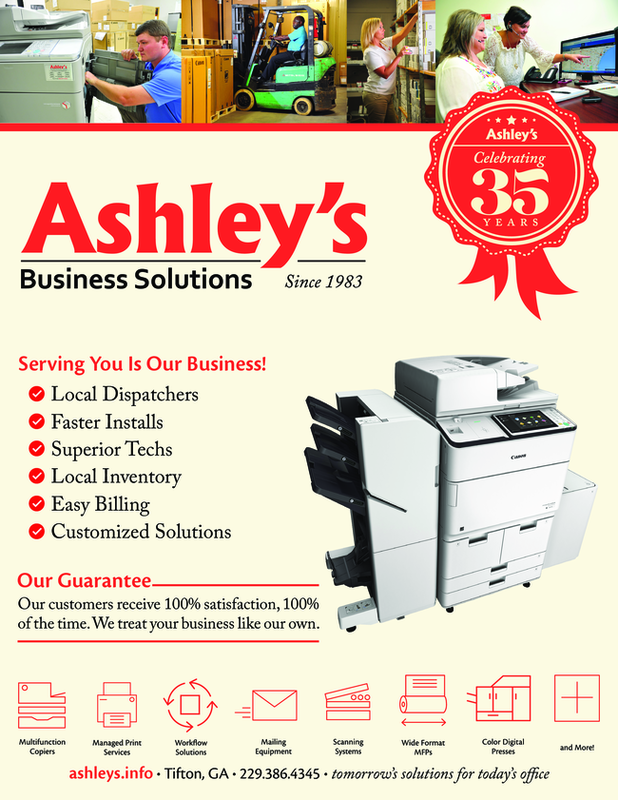 Call 229-244-7860 . 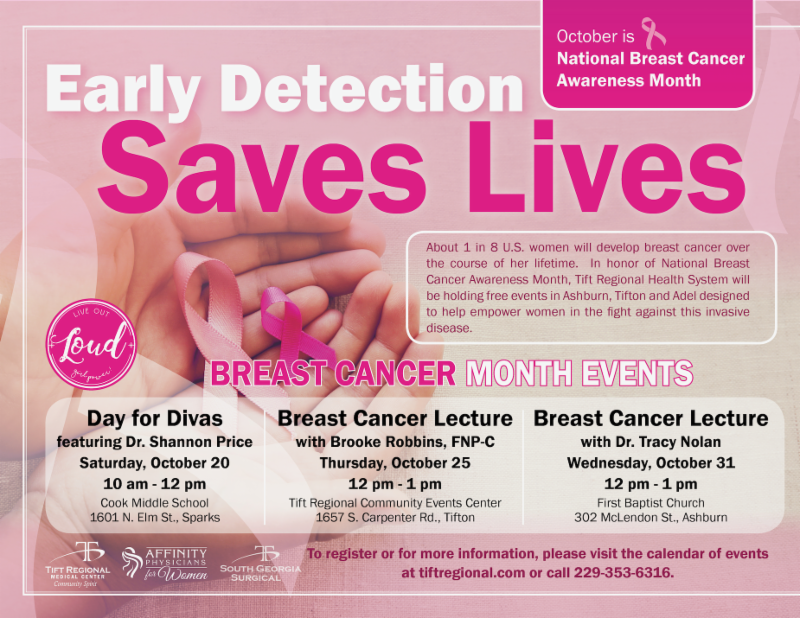 For additional information, contact HEAT at 678-406-0212 or info@heatga.org . 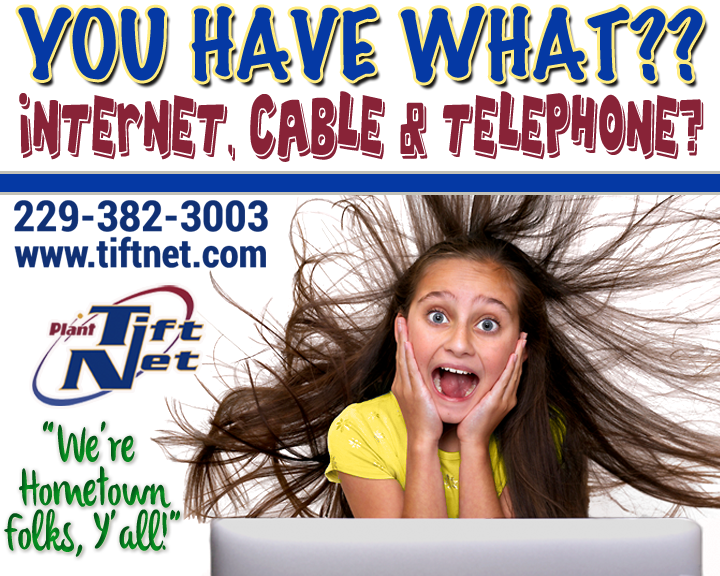 Tifton residents may also call the City of Tifton at 229-391-3957 . Faculty Enrichment Fund award recipients include, front row, from left: Dr. Kennon Deal, Dr. Heather Cathcart and Dr. Leslie Pryor-McIntosh; back row, from left: Dr. Kingsley Dunkley, Dr. Alex McLemore and Dr. Andrew McIntosh. 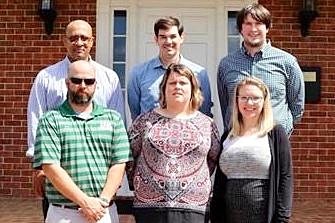 Six faculty members at Abraham Baldwin Agricultural College will receive funding for special research projects this year from the Gail Dillard Faculty Enrichment Fund , provided by the ABAC Foundation . Drs. 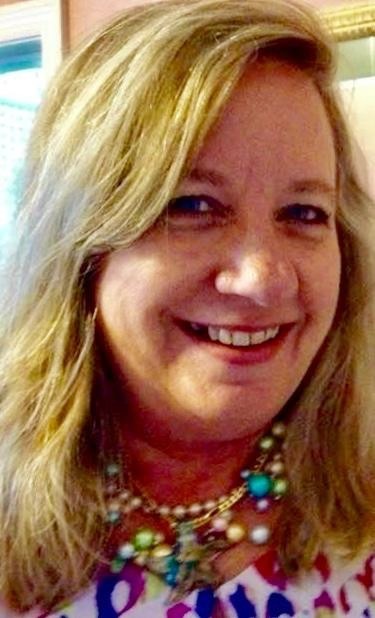 Heather Cathcart, Kennon Deal, Kingsley Dunkley, Andrew McIntosh, Alex McLemore and Leslie Pryor-McIntosh will receive funding for the projects which involve students in their classrooms. Deal’s project involves a collaboration with faculty at Auburn University where ABAC students will use a Level 10 Clean Room while working with microfluids. McLemore will receive $2,000 for “Real-time NDVI Sensor for Instant Assessment of Crop Health” to build cutting-edge sensor technology. Students will get hands-on experience working with a precision agriculture project. 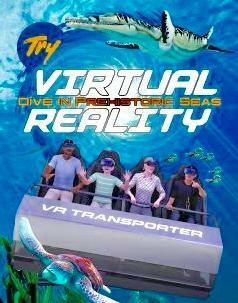 Starting Saturday, Oct. 6, visitors to the Museum of Aviation in Warner Robins can experience the thrill of leaving Earth or having an adventure under the sea without leaving the museum, thanks to a new motion-based virtual reality (VR) attraction. Through a partnership between the museum and Pulseworks LLC – an Atlanta -based provider of motion-based entertainment and digital content – museum visitors can experience cutting-edge VR technology . The attraction will utilize an innovative new motion-based ride called the Pulseworks VR Transporter , one of the first of its kind in North America . It will feature a first-person adventure entitled "Spacewalk VR: Danger in Orbit," letting patrons assume the role of an astronaut testing a new manned-maneuvering unit as they explore the exterior of the International Space Station above Earth. Individuals will also have the option to be “ transported ” back in time and glimpse marine life of the distant past through a second adventure entitled "Prehistoric Dive VR." Virtual Reality is the technology that enables people to have an immersive presence in a digital world . It uses high-tech, head-mounted displays to connect users directly with content inside a three-dimensional space. Rather than simply watching a movie, users can change their perspective , explore and have their own experience tailored to their head movement. The Museum of Aviation is located adjacent to Robins Air Force Base at 1942 Heritage Boulevard in Warner Robins . 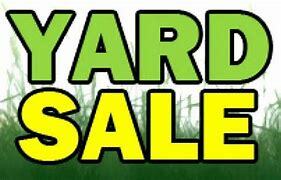 Check out local Yard Sales this weekend: Click Here!